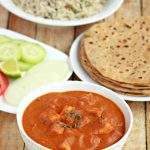 This week I am doing three days of gourmet subzis that has smooth gravies. 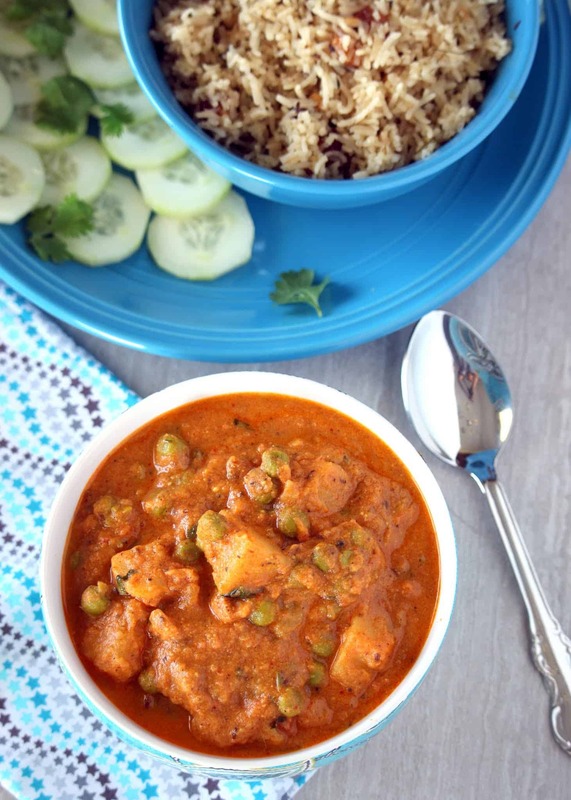 The last two recipes that I blogged in this series are Matar paneer and Shahi Aloo Matar. Even without realizing I have made all the three recipes with green peas in them. 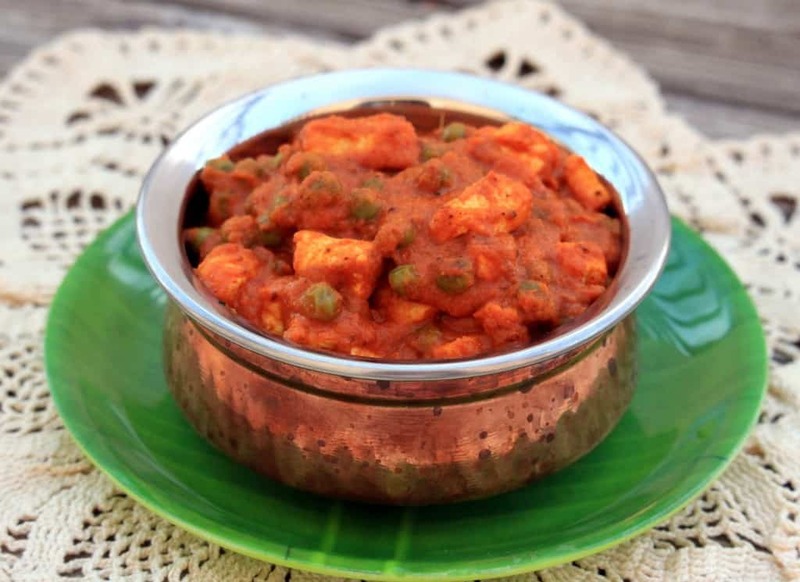 This Matar Tofu recipe is quite different from the matar paneer recipe and can be used as an alternate flavor. We love tofu in our house and I use them quite often. 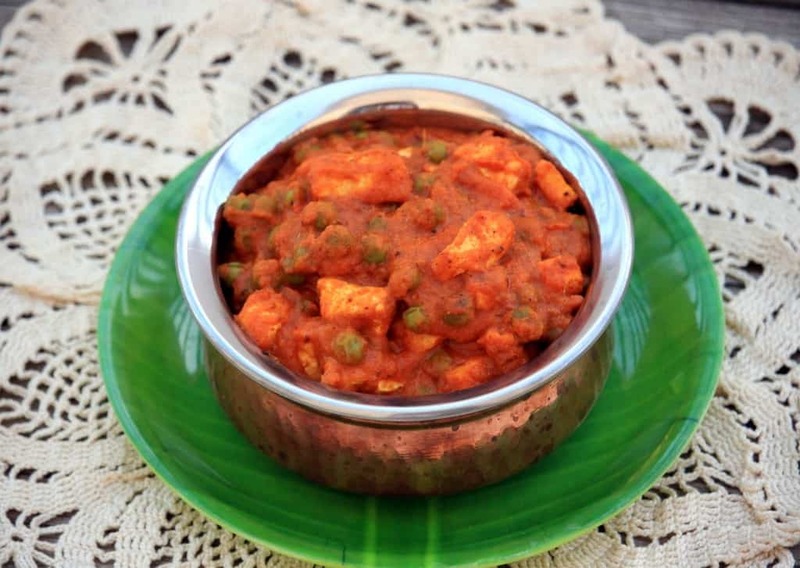 One of the biggest ways I use tofu is substituting it for paneer. 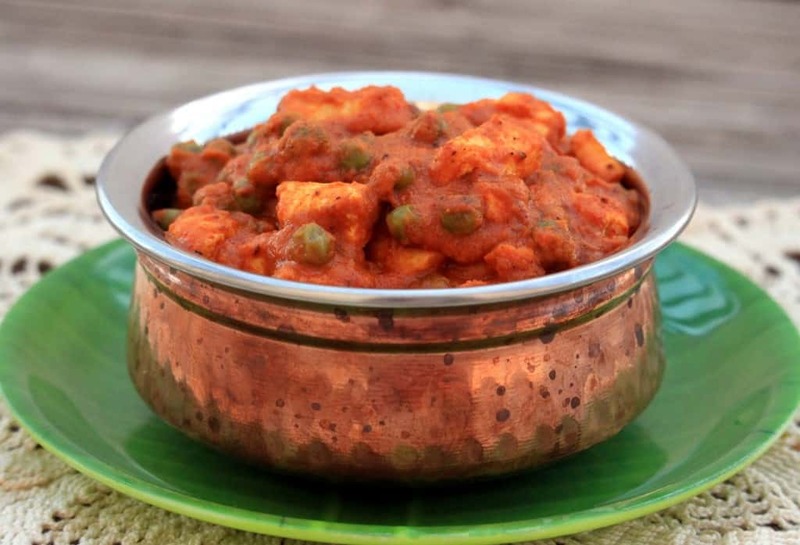 Tofu works great as paneer alternate in any subzi. 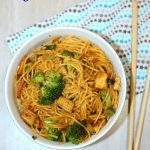 Make sure you use firm tofu when making any subzi. 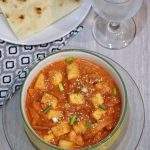 I also pan fry the tofu until slightly brown and then add it to the subzi. 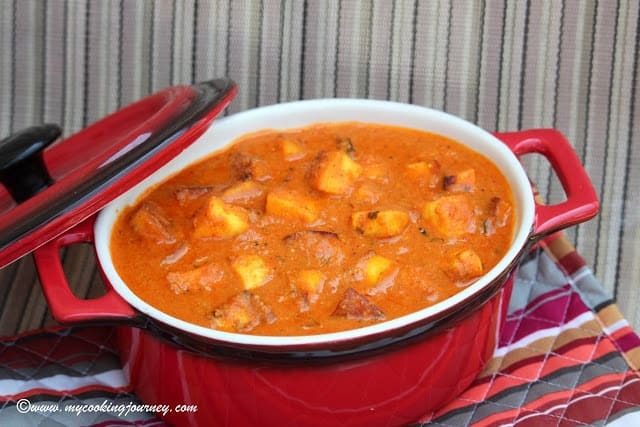 One thing to remember when cooking with tofu is to let it simmer in any gravy we are making so that it can absorb the flavors. 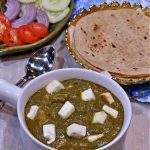 When using paneer we don’t cook it long after adding it to the gravy, but when using tofu, make sure you simmer it for few minutes. 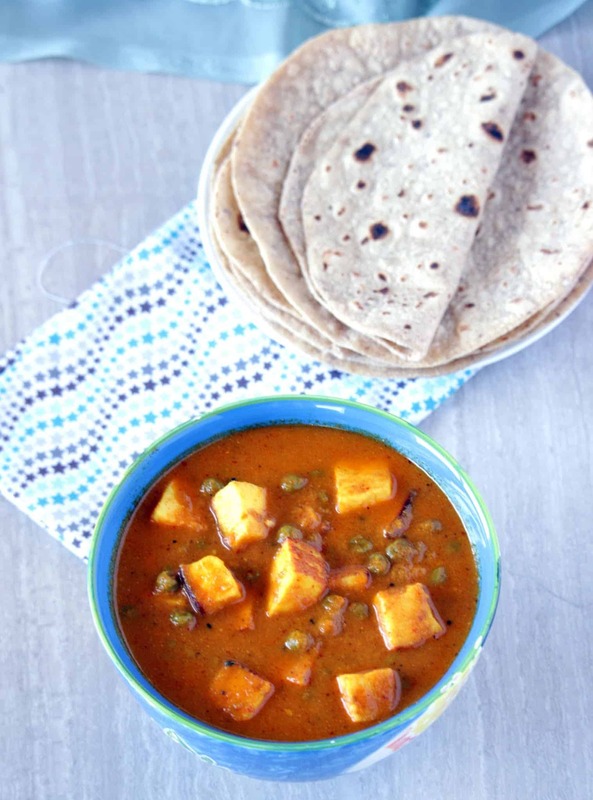 Tofu does not break apart as easily as paneer (when using firm tofu). Remove the tofu from the package and drain all the water. Wrap the tofu in few layers of paper towels or a clean kitchen cloth and place a weight over it to squeeze out the extra water. Leave it like this for 10 minutes. Then cube the tofu into bite size pieces. 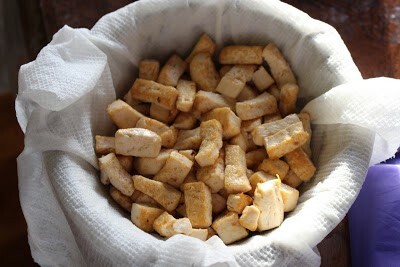 In a wide pan, heat about a tbsp of oil and fry the tofu until slightly brown on all the sides. 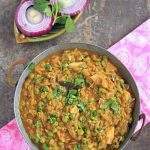 In a pan, heat 1 tbsp of oil and fry the cardamom, cinnamon, cloves and fennel until aromatic. Add the sliced onions and sauté until golden brown. 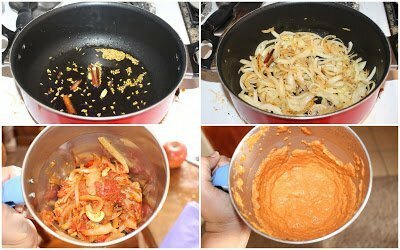 Add the cashews and fry for a minute. Now add the ginger garlic paste and the tomatoes and cook until the tomatoes are mushy. Let the mixture cool down and then transfer it into mixer jar. Grind the mixture to a smooth paste. Heat 2 tbsp of oil and/or butter in the same pan. 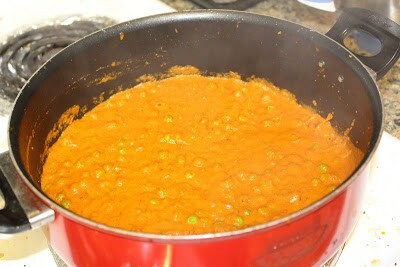 Add the ground masala paste and fry in low flame for 4 to 5 minutes or until the oil separated from the masala. 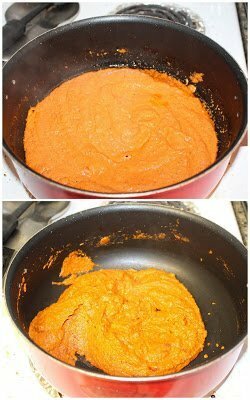 Add turmeric powder, red chili powder, Dhania Jeera powder and salt and mix well. 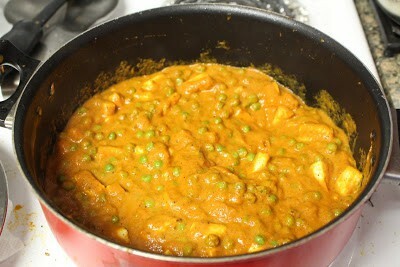 Add the peas along with a cup of water and cook until the peas are tender. I used frozen peas, so it took me about 10 minutes to cook the peas in low flame. 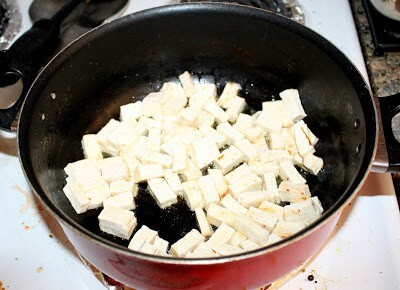 Add the fried tofu pieces and cook in low flame for about 10 more minutes. 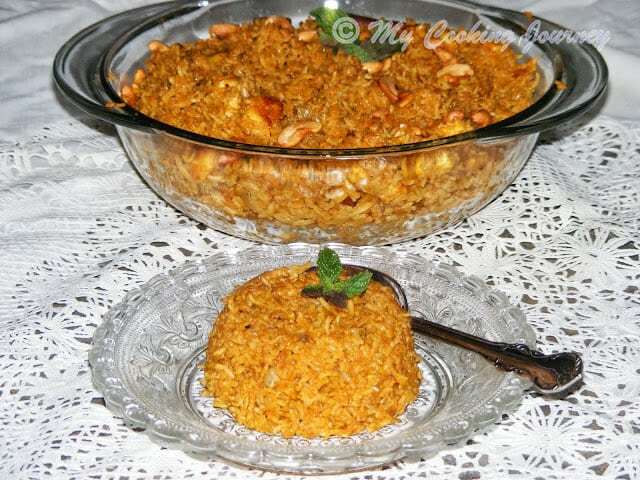 Adjust the consistency of the subzi by adding more water if needed. 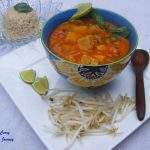 Garnish with cilantro and serve hot with roti.